Economic uncertainty means less risk-taking. Other than a few standouts, most toy companies are relying on low-priced tech items (leaving the expense to the tablet, phone and console developers, keeping their toys low-cost), trusted licenses and the same old ideas with a touch of high tech thrown in for good measure. Disney is betting big on the upcoming Monsters University movie sequel, introducing more than 1,000 products from 125 licensees. One toy, Scare Off Sulley from Spin Master will feature five different modes of play, the ability to sense its environment, and offers kids a chance to play against him in a "scare off" encouraging them to scream as loudly as possible. Parental earplugs suggested. ($80, available this fall). A Speak N Scare action figure line from Disney Store ($34.95, available June 2013) works with a free digital app to control their scaring actions. An interactive mode allows the figures to converse with one another when they're in proximity. Taking its cue from the success of Activision's Skylanders, an interactive play experience that uses virtual gaming and action figures, Disney Infinity features a new line of collectible figures based on Disney and Pixar's biggest franchises. The characters come to life in a gigantic online mash-up where, for example, The Incredibles can play along with Pirates of the Caribbean. Disney Infinity will launch in June 2013 across all consoles and mobile devices ($4.99 - $74.99). Hasbro was the undisputed king of the mash-up of its properties. Imagine taking every license you own, and tossing it in the air to see what shakes out. There was the Jenga meets Tetris, a physical game with Tetris shaped pieces in a Jenga-type building activity (August 2013). Remember Skip-It? It's back as part of Hasbro's new Twister Rave line that integrates -- you guessed it -- flashing Twister colored LED lights ($19.99). Then there's the Angry Birds meets Star Wars franchise (Rovio) in a torrent of toys from plush to plastic and virtual worlds. Angry Birds was seen in every incarnation from large plushables to a physical game from Mattel. 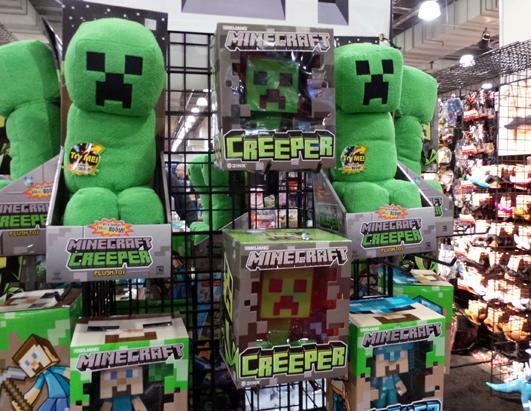 Plush toys are turning into apps and apps are turning into plush toys at an alarming rate. Talking Tom from Cuddle Barn is a soft plush that brings the popular app to life as it repeats what you say in its own funny voices ($34.99). 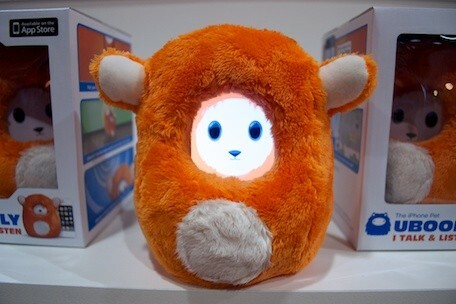 Ubooly offers a plush where you can slide your iPhone into its pocket and download a free pet app to create a "smart" stuffed animal. Ubooly comes to life and offers games and activities, including storytelling, that are refreshed each month ($29.95). Even Minecraft -- a fairly Plain Jane virtual building world showed up in aisles of plush toys and with iPhone cases from ThinkGeek. Where there's not plush, there's plastic. Mimoco introduced a line of My Little Pony Magic flash drives. Another big trend for the second year in a row was augmented reality. 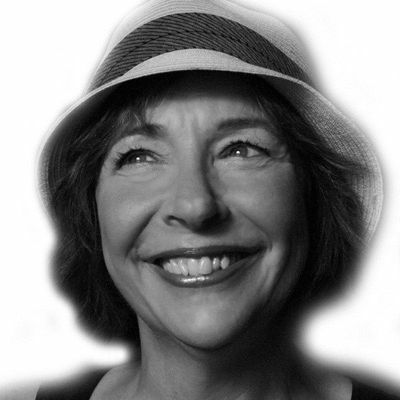 What that means is that a game's real-life interactivity is heightened with a digital experience. Mattel hit the augmented nail on the head with the Barbie Digital Makeover Mirror that lets girls try on makeup, but virtually ($69.99). It uses an iPad, which slides into a special vanity mirror attachment, complete with a magic wand girls can dip into pretend lipstick, eye shadow and more. Using augmented reality and photo facial recognition, the makeup appears on the user's face and even moves with the face. Clearly influenced by the Hunger Games, Hasbro's Rebelle lets girls shoot pink bow-and-arrow sets with Nerf-like arrows at targets. If you snap your iPhone into the cradle, the game springs into an augmented reality, collaborative experience. Go, girl power. Elsewhere in the augmented reality world of Toy Fair are newcomers like Popar Toys. The company showcased large kid-sized books where the print page had augmented reality codes on them ($19.99). Hold your book up to a tablet or computer screen (which can give your arms a workout) and you'll access special on-screen puzzles and maps. The first collection includes books about bugs, earth and the solar system. Plow Games, makers of games-for-hire, exhibited an iPad gaming kiosk platform, including game arcade, rewards and interactive toy check-in with NFC (Near Field Communications) technology. They're building a number of games that "spring" to life as a physical object, like a ring or bracelet for example, come within range. As these objects get a breath of digital life, it begs the question: just how many thingamajigs can one kid keep virtually active at once? Fisher Price has been creating a line of toys that work with iPads and iPhones, designed for babies and kids between the ages of 3 and 7 for a few years now. Putting an iPhone or iPod Touch in the Fisher Price Apptivity Gym ($35) lets newborns play with apps that interact with the gym toys. The Laugh & Learn Apptivity Storybook Reader ($20) fits iPhones and iPod Touches. The Little People Apptivity Barnyard ($40) is an iPad case that lets kids explore a virtual barnyard with interactive figures, and is available this fall. 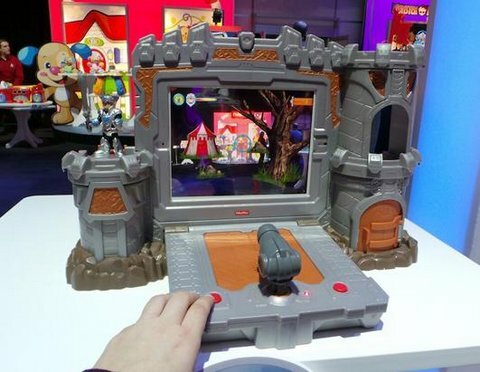 For older kids, the Imaginext Apptivity Fortress play-set ($50) also comes out this fall and uses an iPad for multiple app games that appear when you slide your iPad into the play fortress' wall. Hasbro took a cue from other companies creating kiddie-shells for iPads with P.A.L. (Play and Learning) apps. Place your iPad in a special case and little ones can use a magnifying glass, paintbrush, scanner and other peripherals for learning adventure. An entire family of pre-school apps can be used with this device, allowing children to become investigators, exploring various learning games and activities ($39.99, fall availability). Some toys are having a tech-renaissance. Last year, Hasbro's Furby upgraded to LED eyes and sensors in its head, eyes and tummy that elicit various emotions. A free Furby app lets kids feed Furby digitally and even translate Furbish to English. This year, Furby has new Party Rockers friends who, of course love to party, and will react to not only how they are treated, but also to one another ($24.99 spring 2013). WowWee's Robosapien and Robosaurus are also making comebacks, this time with apps to control them. The Barbie Digital Dress Doll has a special black dress made of a touch panel with 114 tri-color LEDs letting girls customize some funky digital designs. They can choose from ready-to-go graphics, draw custom designs with a stylus and even watch their designs respond to sound and music (available in August for $50). Most of the innovative ideas came from small new companies. Their toys tend to be more expensive, since they're tech intensive and some of the companies are still looking for funding. One of my show favorites was Romotive, the first smartphone robot, from a Las Vegas-based company that has created a docking station on wheels ($149 shipping April 2013). Place your iPhone in the dock and you can control it from anywhere. It can look in on your cat, talk to your mom remotely, or even play games with your other friends. Skyrocket Toys is releasing a set of clever bike attachments, including a programmable bike wheel generator that creates super LED designs on your wheels as you pedal. Cubelets, a set of blocks that are each endowed with unique robotic powers: video camera, forward motion, motion sensing. You fit the pieces together like a robot building kit. LittleBits offers kits ($30 to $150) containing pre-assembled color-coded circuit boards that you clip together to create working circuitry -- Mr. Wizard for the digital age. And NeuroSky's Necomimi are bunny ears that display your emotional state by rising and falling thanks to a sensor you wear on your forehead ($19.99). As digital and physical toys get mashed up, the only constant seems to be the toy store. My guess is that it's time for toy stores to catch up with Toy Fair and figure out a way to showcase the interactive, rich worlds of play. Experiential play stores are next on the trend to-do list.